Sony thinks its current hardware will do just fine against Nintendo's new console. Now that Nintendo has officially revealed the successor to the Wii, speculation has turned to the other console manufacturers, and when they will be releasing new hardware. You shouldn't expect to see a new PlayStation any time soon however, as Sony's Jack Tretton says that he hasn't seen anything about the Wii U that the PS3 can't handle. "PlayStation 3 is really just hitting its stride," he said. "I wouldn't look for any discussion of a next generation PlayStation for quite some time." He said that the power that Sony had built into the PS3 meant that it had a long lifespan, and that while it had made for some difficult times during the PS3's launch period, it was paying dividends now. "Technologically," he said. "I don't think it's possible to provide any advancement beyond what we have." He said that Sony's competitors were now trying to add features to their consoles that existed in the PS3 already, and that high-definition gaming and multimedia features were features that the PS3 had in 2006. Not that Nintendo is actually adding much in the way of multimedia capabilities, of course, having decided not to include DVD and Blu-Ray playback on the Wii U's feature list. 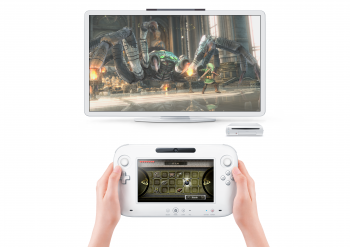 While Tretton is bullish now, he may change his tune when the Wii U gets a little closer to release. With roughly a year to go before the console comes out, we're not seeing the Wii U at its best. Once there are some actual games for the Wii U - rather than footage taken from other platforms as an indication of what it can do - Sony will have a better idea of what it's really competing with, and that PS4 might look a little more appealing. Assuming, of course, that Sony hasn't starting working on it already.